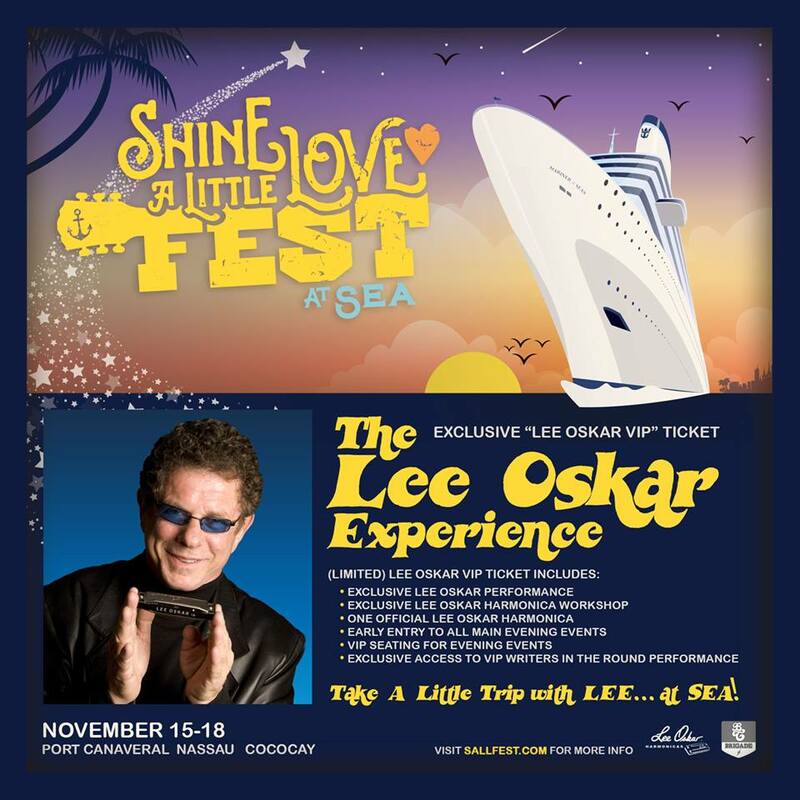 Shine A Little Love Fest at Sea welcomes internationally acclaimed harmonica virtuoso, composer, producer, LEE OSKAR! He is renowned for his iconic role as a founding member and lead harmonica player of the pioneering funk/jazz band that composed and recorded such hits as “Low Rider,” “Cisco Kid,” “Why Can’t Be Friends,” and many more chart-topping songs! Now you can meet and play with the legend himself on SALLFEST at Sea with The Lee Oskar Experience! These tickets are limited and will be going fast so don’t wait or hesitate to get yours TODAY and Take A Little Trip with LEE…at SEA!